Tailings dam monitoring is simplified by making use of the LS-G6 long-range wireless data acquisition system from Worldsensing. Tailings dam monitoring is an important component of overall surface mine management and control. Keeping tabs on the stability of tailings dam walls and slopes, as well as the level and behavior of water, slimes, and other materials present in the dam is vital. They tend to constantly increase in size over time. 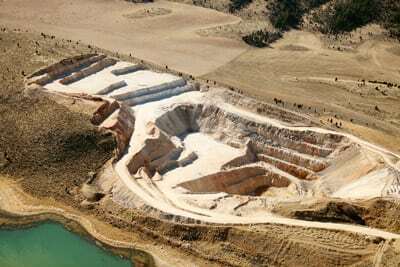 As the mine is worked, more and more material enters the tailings/slimes dam. Although water is constantly evaporating, or can be drained out, the solid and semi-solid material inside the tailings dam tends to remain and simply build up over the years. To cater for the above, the wall of the tailings dam may need to be extended several times throughout the life of the mine. This makes monitoring the wall extra important– both the original section and any later additions. All of these instruments are capable of providing large amounts of relevant, accurate data. However, to be truly useful to the staff members responsible for tailings dam monitoring, this data must be easily accessible and presented via a single, easy interface. The LS-G6 long-range wireless data acquisition system from Worldsensing is the ideal way to simultaneously monitor multiple, diverse instruments, and present the data gathered in a simple, usable format.